Dr Jon Hazeldine is a Research Fellow working on the acute response to major trauma theme under the tutelage of Professor Janet Lord. 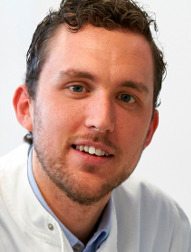 Dr Hazeldine obtained a Bachelor of Science (BSc) degree in Human Biology in 2007, a Master’s degree (MSc) in Immunology in 2008 and obtained his PhD at the University of Birmingham in 2013, during which he investigated the impact of age on human immune function. Within his role at the SRMRC, Dr Hazeldine’s work revolves around the “Golden Hour” study, in which, through the analysis of blood samples obtained within one hour of injury, he is currently investigating the immediate impact that major traumatic injury has on immune function and its relationship with patient outcome.